So, we are bang in the middle of October peeps, and what better time to start planning for 2018 than right now? Both of those things will also lift your motivation up and help you stay laser-focused on reaching your goals next year, which of course, will help you make progress much quicker. If you decide that you’re going to wait until the end of December or early January of 2018 to start planning your blogging or online business goals and strategies, you run the risk of putting yourself in a ‘static’ or ‘stationary’ frame of mind. What I mean by this is, because you haven’t thought about your plans, goals, objectives until December or January. Or, thought about reflecting on the last 12 months or so with regards to your progress, you put yourself in what I call a ‘static’, or ‘stationary’ state of mind. You simply won’t know where you’re going next with your blog or online business. Your motivation and your focus. If you’re a blogger, or even if you incorporate blogging into your online business strategy, I have just the thing for you – My Ultimate Blog Planner workbook. This is PDF template guide with 20+ full-sized printable templates that you can use to manage and grow your blog next year. If you want to learn more or grab yourself a copy, just click here. OK, so I hope you’ve enjoyed reading this short post. 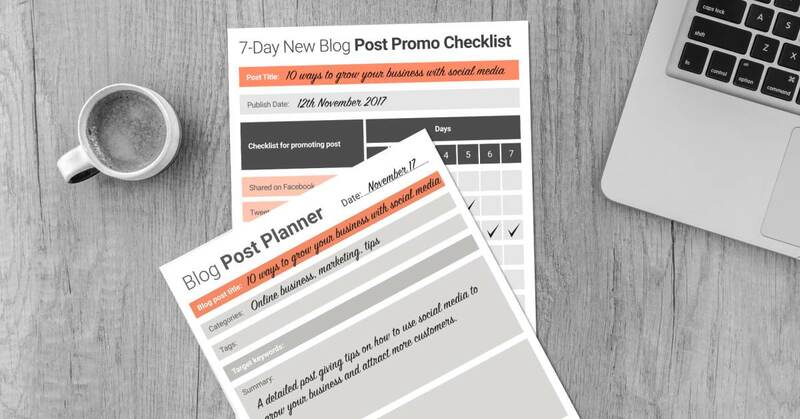 I wanted to post this out to remind you that the new year is fast approaching, and to share with you some of the benefits of doing your blog or online business strategy planning early. It’s absolutely essential that you get your planning lined up in order to have a good start to the new blogging year. These printable charts that you are offering seem like the perfect thing for people to use to get organized and on course.